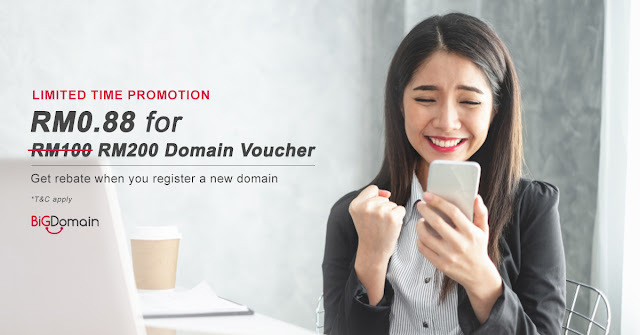 Applicable for the Purchase of Domain / Hosting! 4) The amount of the Bonus Vouchers will double up if you purchase domain from us within 30 days! Please note that Molpay required a minimum RM1.00 per transaction. Therefore, we have set the price RM1.20 for payment via Visa/Master/Online Payment.